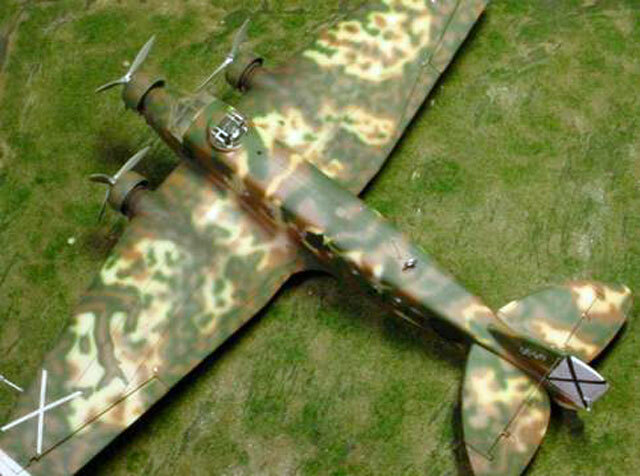 Here is Supermodel 1/72 scale SAVOIA MARCHETTI SM 81 PIPISTRELLO "BAT". 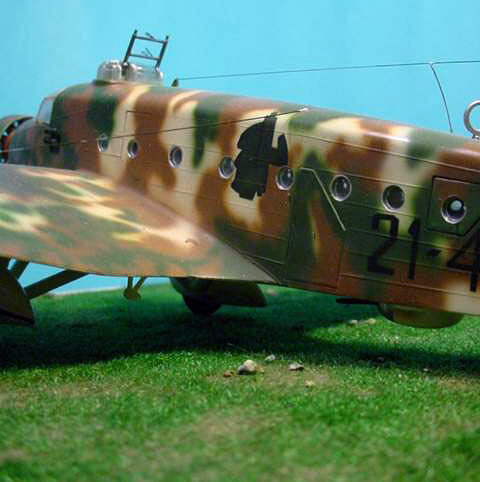 This is a SM 81, of 213^ Squadriglia ,24°Gruppo , 21°Stormo Bombardamento Terrestre (Spain - 1938 Aviacion Legionaria). 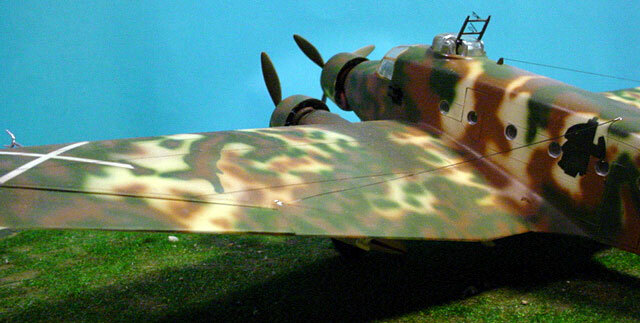 I built this kit straight from the box with the camouflage inspired by few photos from a film sequence about a plane niknamed "soso" in close formation with two SM 81s. 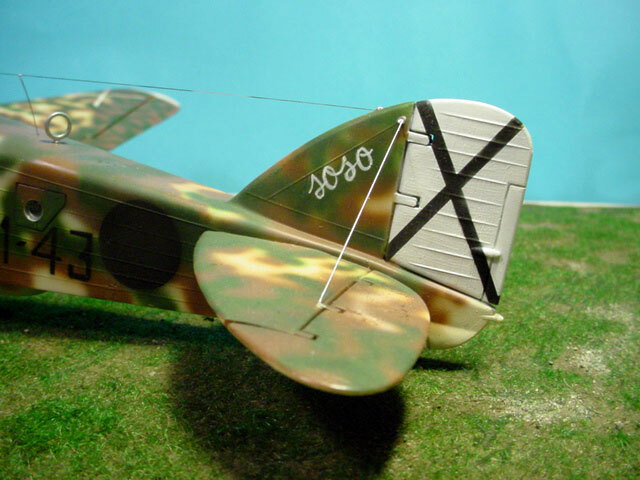 None had the same camouflage, and my plane is marked with specials emblems (left wing, fuselage and rudder). 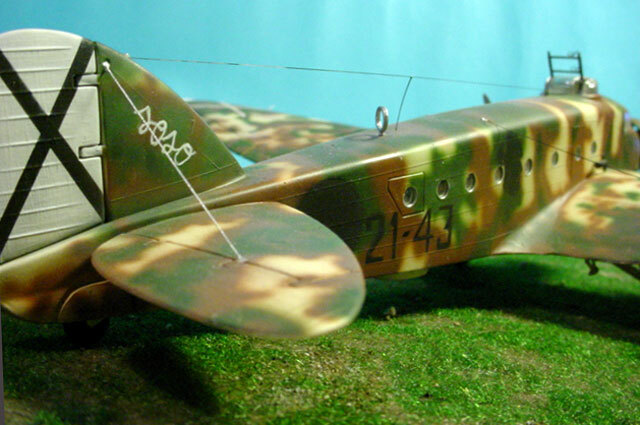 The camouflage consists of standard pre-war metropolitan scheme in ivory overspryed by green and brown large strip , eachones spryed whit opposite paint ( base green , paddel broun and vice-versa).Undersurface in ivory. 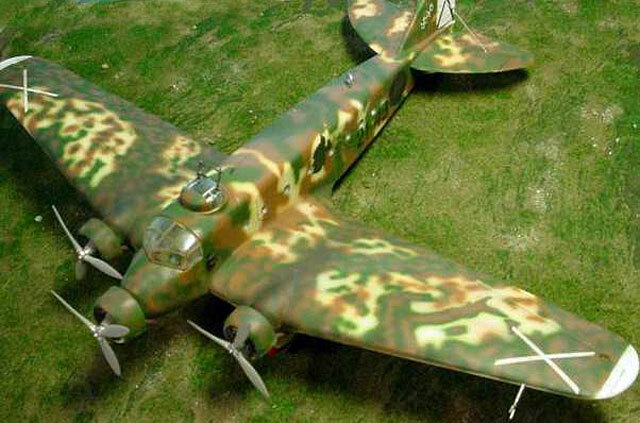 The plane mantain the red friezes on undercarriage . 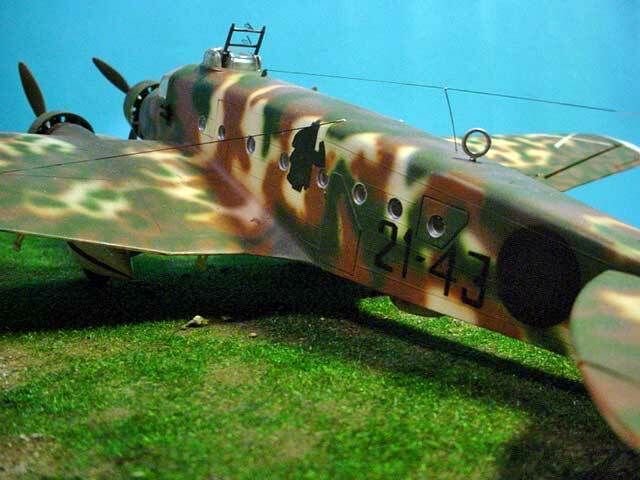 I used a mixture of Tamiya basic colours, plus Gunze and Humbrol paints. Decals are home made using small masks.